Rodney “Darkchild” Jerkins is having church. The award winning producer and songwriter may be in the darkened auditorium of one of the world’s most respected universities but he is spreading the gospel. But today’s gospel is about the power of entrepreneurship for musicians. The New Jersey native, who grew up watching his pastor father in the pulpit, deftly weaves the story of his career in music for those in attendance. As the keynote speaker at the inaugural Music Entrepreneur Conference (MECon) at Harvard University, he delivered an impassioned address to the captivated crowd of assembled artists looking to make a living from their work; a subject that Jerkins knows all too well. 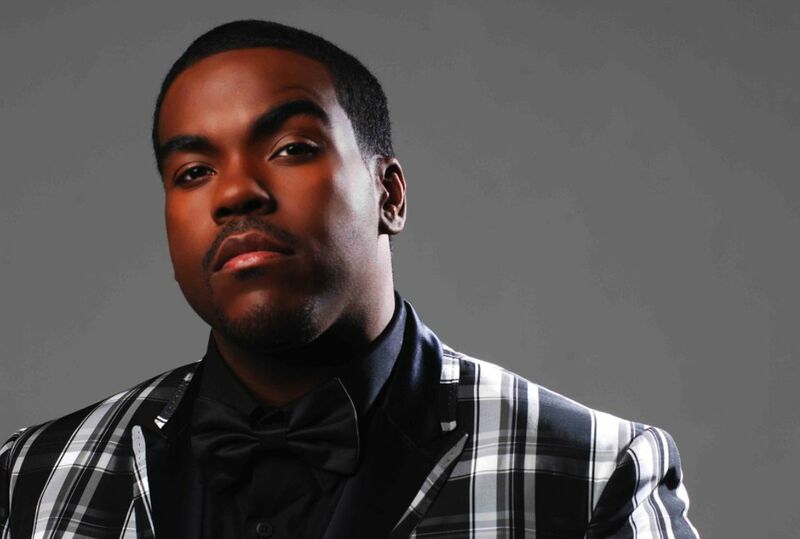 A look at Rodney “Darkchild” Jerkins resume is like a review of modern pop music. Rodney got hits. And lots of them. The hit-making producer and songwriter has had his hands on some of music’s biggest songs in various genres. Megastars like Michael Jackson, Beyoncé, Spice Girls, TLC, Janet Jackson, Brandy, Monica, Lady Gaga and Jennifer Lopez have all called on him and his pen to take them to the top of the charts. With those hits a lot of lessons were learned. Now along with his duties as musical director for FOX TV’s Empire and Star, he’s taking time to pass on some of the game he’s acquired. We got a chance to speak with the producer on after his keynote speech at MECon about how family taught him to focus on business and passing game to the next generation. KBX – Where did the entrepreneurial spark in you come from? Everyone’s path is different. Some people have to take that deal with a Teddy Riley. It might be part of their journey. But he was really preparing me because he knew later on in life that I would build certain companies. And now with all this stuff in my brain I feel like it just can’t stay in my brain. Part of serving is giving back to people. And I feel like there’s so much young fresh talent out here that need to know that more than ever this time is the time you have an opportunity to be side by side with the ones you looked up to. When I was 13 I didn’t think I could be on the exact same chart as my mentor Teddy Riley. Ironically when [Brandy & Monica’s] “The Boy Is Mine” went number one the number two song was Teddy’s remix of Janet Jackson’s song “I Get Lonely”. That was a moment for me. You came into the industry in the era of the super producer. It was raining money. You, Neptunes, Timbaland. How did you get that from a notoriously stingy music industry? I think we pushed it though. It wasn’t just given to us. I know for a fact when we were doing deals that my father was so aggressive that he was pushing deals out of people that they weren’t used to doing. I feel like for us we were pushing the envelope. I remember one time after some success my dad was like “My son gets 75% of the money upfront. No 50%.” They were like “Hunh?” (laughing) I asked why he was doing that and he said “I don’t know if that other 50 is going to come so I want to be as close to 100 as I possibly can be.” He was pushing it and then we started getting it. It became normal business for us. After you started doing that did you start sharing that game with other people? I regret how I shared it. I didn’t share it in a way of humility. I was doing it more to flaunt like “I’m killing ‘em right now.” I should have been more like “You should ask for 75% cuz I’m getting that. You can get it too. You’re worth that.” But now when I look back I think that was the best time in the music industry. But at the same time I remember having a conversation with [former Sony Records head] Tommy Mottola. I said to him “I still think about that deal you did with me.” It was non-exclusive and they gave me a lot of money. He said something that was crazy. “I could do that deal, you know why? Because you could do one song and it would re-coop the whole deal.” So we on the other side never looked at it like that. It was unheard of for a producer to do a 30 song deal. People were doing 10 song deals. So to do a 30 song deal with Tommy Mottola was huge. And I got all my money upfront, not 75%. That was unheard of. He told me “If you did a song like “Say My Name” for Destiny’s Child it took them from 2.5 million to 9 million records sold. We’re talking album. When you think in terms of billing what that looks like. It almost makes you think we were undervaluing ourselves. They know the math. They know what those albums were doing back then. JLo. I did “If You Had My Love”. Did that not lauch her musical career? Out the gate here first album did like 10 million worldwide. How were you able to make the transition into the mindset of DIY when that era started to wind down? Just evolving. Just knowing we can’t charge like we did back then. We knew that a new artist in the 90s would have a half a million dollar, a $750,000 recording budget. So we could still ask for that. Now they might have $300,000 so we’d have to cut that in half. Also being an entrepreneur starting your own label you understand. You have to be very mindful of how to spend. I have to make sure we aren’t spending recklessly on these projects. Its different. Around 2007 I felt a real shift in our industry. And in order for you to still stay around and have longevity & still be around you have to shift the business and make that money somewhere else. I have a friend who’s an entrepreneur and he always says “Money doesn’t disappear. It just moves.” Where you able to see quickly where it moved to? Yeah we saw that. We knew that the live performance was the place. I also felt blessed too. The industry would call it mistakes but I call it God’s favor. I know for a fact that there were times when I was overpaid for something or money was found that was lost. I would wake up and I just got this check. And I felt like that makes up for all of the new times. God is like “I’m going to take care of you. Even during this time when everyone thinks there’s a shift going on and things are less, I got your back.” So we just go with the flow. What has been the biggest reward from going with the flow? When I look at 8 eyeballs, meaning my kids, and I know that they are healthy. I know that some of the things I did right, I’m still being rewarded. It goes past finances. It goes to health off your children. Your personal health. Grace when you’re traveling. All of that stuff adds up to me. Im still reaping those blessings. It feels like you’ve taken on a new calling of spreading the truth to artsts that they can take their destiny in their own hands. Has that been something that you’ve really been connected to? It is. I can even explain it. There was a moment when I would find artists that were dope and I would be like “We gotta go see LA Reid. We gotta go see so-and-so. Let’s go get a deal.” Now if I find an artist Im not even thinking about going to a major label. That’s not even the first thing on my mind. They’re there if I need them. I’m not thinking of them. I’m thinking how can I get this artist out myself. And I’m preaching that to the artists. Let’s just make some good music and put it out. KBX – Do you think it’s a situation in the industry where people make creatives think that they can do it themselves? Rodney Jerkins – That’s tough. I’ve met a lot of talented people who don’t have the business side. But that goes to gifts. You might be gifted on one side and not the other. That’s when you have to be a producer. You have to produce the right team around you to help you in those areas. You’re very wise if you can recognize it.